Can Blockchain Save Us From Fake News? The world is a strange place. The greatest threat is often found in the least expected places. Celebrity conservationist and zookeeper Steve Irwin wrestled dangerous creatures like tigers and crocodiles, yet he died of a stingray attack. As nation states, we fear terrorism and the rise of AI, yet we happily – ignorantly – fill our friends’ Facebook feeds with blatant lies in the form of fake news, oblivious that the links we find interesting were socially engineered to evoke in us a sharing response. In an age where fake news is running rife – and many of us are unknowing culprits in its spread – can blockchain save us from ourselves? Fake news isn’t new. It isn’t hard to imagine, in days of yore, a messenger to a neighboring kingdom being tasked with slipping a gossipmonger a few tidbits of action-stirring misinformation on his way out, as part of the cunning strategy of his king. And in the newspaper’s early years, yellow journalism was seen as a good business strategy to get a leg up over one’s competitors in increasing sales. In the digital era, we’re as used to seeing “This mom makes $3000/day from home” ads as we are writing “www.” So when did something that was easily spotted as a fake, suddenly rise as high as to threaten our very democracies and economies? One answer lies in money, the other in power. First, let’s look at how the average person has managed to go from a consumer of mainstream media to a creator of deliberate disinformation, driven by the allure of money. In the online world, click is king. If you follow a link to a full-length movie with 6 million views on YouTube, you’re more than likely to stare at a single-page ad on screen, uploaded to run for the full 2-odd hours of the movie. Not that the creator expected you to sit there and watch. The painstaking process of creating the video file was only meant to lure you in. By all means, you should bounce off 3 seconds later after realizing the movie is a dud. They’re netting ad revenue from that unlucky click of yours because clicks mean cash. The same goes for most websites that post sensational articles in their best bid to entice you into clicking. 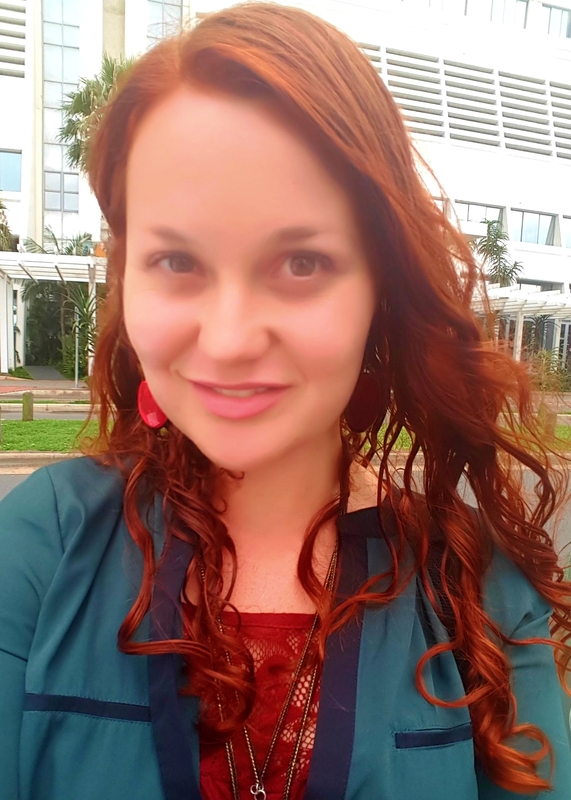 Sometimes, this singular pursuit of greed can have wider – and presumably unintended – repercussions, such as when a fake news clickbait site recently reported that South African president Jacob Zuma had resigned. 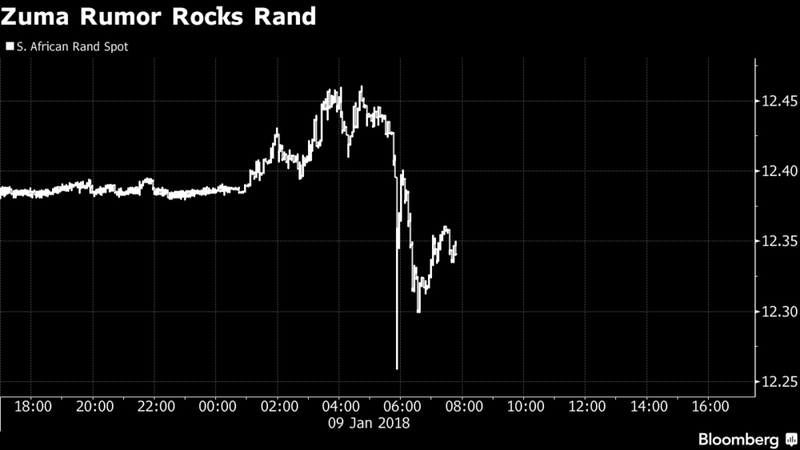 The fallout was brief but huge: the Rand, the country’s currency, temporarily strengthened by 1 percent as the (fake) news reached the domestic and even international markets that the nation’s president – highly unpopular with investors – was no more. Politics is a scandalous affair. There’s not a country which doesn’t populate its headlines with the latest lows from national and international politicians day after day. But when the term “fake news” became Collins Dictionary’s Word of the Year 2017, it’s clear that blindly trusting a news source isn’t the smartest way to get your daily information fix anymore. According to the dictionary, the usage of the term “fake news” saw a 365 percent increase since 2016. Fake news has risen from obscurity to come to dominate – and threaten – democratic elections. And not just any democratic election. In November 2016, during the US presidential elections, the leading nation of the free world itself became suspect in its updates and announcements. What was once the domain of tinfoil hat-wearing folk changed; suddenly mainstream media were also warning Americans that seeing (or, in this case, reading) was no longer believing. Instead, every word had to be scrutinised, every source triple-checked, and every “Hey, did you hear about…” conversation second-guessed. The malicious role fake news played in the Clinton-Trump elections is indicative of a larger political problem, namely post-truth politics, in which a politician’s appeals to voters’ emotions are considered a more successful vote-scoring tactic than delivering hard facts. And since the facts don’t always correlate to the level of a desired emotional response, why not twist them a little? Would be that lying? Plan B: let the media fib, instead. It’s not surprising that our choice reflects a year dominated by highly-charged political and social discourse. Fuelled by the rise of social media as a news source and a growing distrust of facts offered up by the establishment, post-truth as a concept has been finding its linguistic footing for some time. Anyone in a committed partnership, be it personal or professional, will tell you that trust is the union’s most valuable commodity. Today, anyone who is engaging with media in any form will profess that questioning the validity of every source is the quickest way to make you start doubting your own sanity. We live in an age where information is at our fingertips before we’ve even asked for it. Your inbox notoriously fills up with new story suggestions from publications you’re subscribed to. Your search engine dishes up the day’s top news stories. Your Facebook and Twitter feed is filled with what your friends and family think is worthy of sharing with the world at large. In short, it’s not information we’re running dry on. Instead, the challenge lies in separating the wheat from the chaff. In a world quick to say anything it thinks you want to hear, how do you discern the truth? This begs the question: how and why does fake news have the power to sway electoral votes? That wasn’t covered in Political Science 101, after all. If you look at the numbers, it’s clear to see where the opportunities lie. The world has gone digital and wars are now fought on the online battlefield as well. Keyboard soldiers are armed with popcorn and padded mouse pads, ready to strike as soon as they hit ‘Enter’. Why Think When You Can Share? Every combat has its casualties. In 2014, it was reported that Facebook served as the main news source for 66 percent of millennials. It’s not hard to see that someone, somewhere, put their grey matter to “good” use and realized there are better ways to spend campaign money than printing posters. 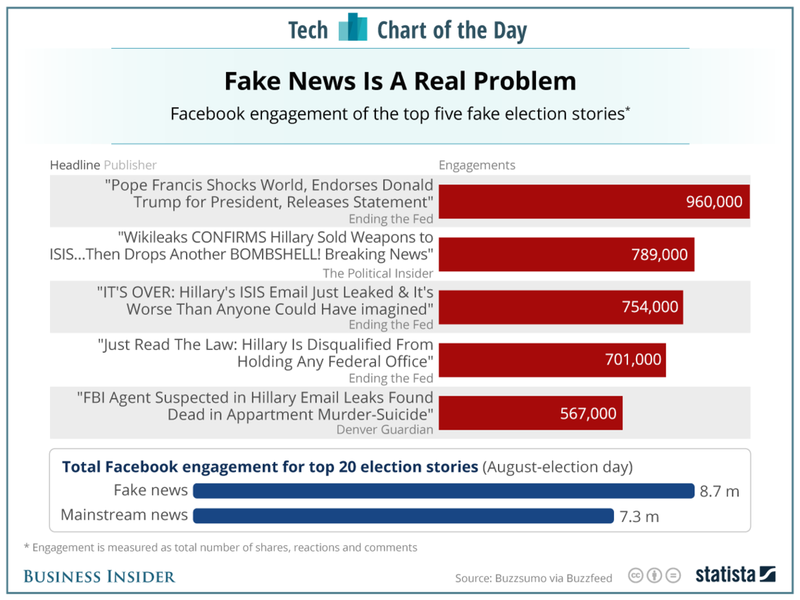 In fact, studies show that 76 percent of the news stories shared on Facebook during the 2016 US presidential elections were created by content mills originating in the small Russian town of Buy in the federal state Kostroma Oblast. And people, if they just repeat attacks enough, and outright lies over and over again, as long as it’s on Facebook and people can see it, as long as it’s on social media, people start believing it. And it creates this dust cloud of nonsense. If you study the top fake news articles shared during the elections, one thing becomes clear. 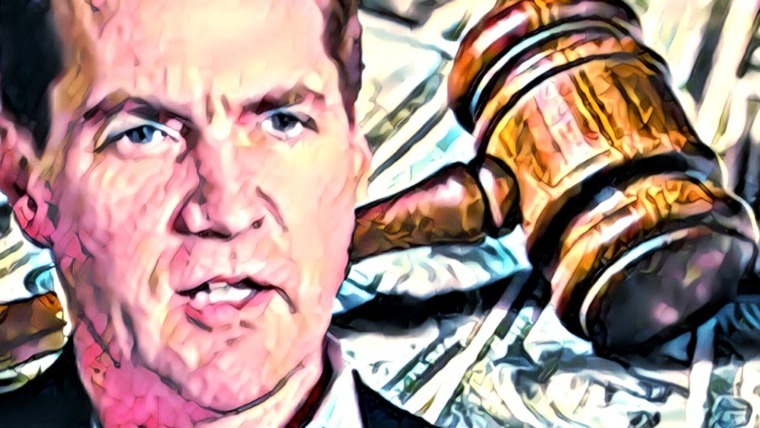 Whatever the hidden political agendas or more overt financial rewards were from generating such content, these were crimes of truth were committed by an unaware general populace, namely: we are the ones who make fake news spread by sharing it. So I’ll start off by saying, “as published by CNN…” – but do your due diligence and verify my statement this time! The question, then, is not whether or not there are sinister forces at play to sway elections and democracies their way using humanity’s tendency to be news-gullible and share button-predictable. It doesn’t take the intellectual prowess of a nuclear fusion scientist to figure out that “Mikhail” and co are cashing in. My primary goal is to prepare a site like I was having before, to be ready for the next election in America. SOS: Can Blockchain Save Us? And in the context of fake news, those are just about the two sweetest words you could hear. Despite our efforts, fake news is likely here to stay. And people, for the most part, will continue to be fooled by it. The question is not how to eradicate or prevent it, but rather how to employ technology to make it irrelevant. You are happily scrolling past those “This mom makes $3000/day from home” ads, right? 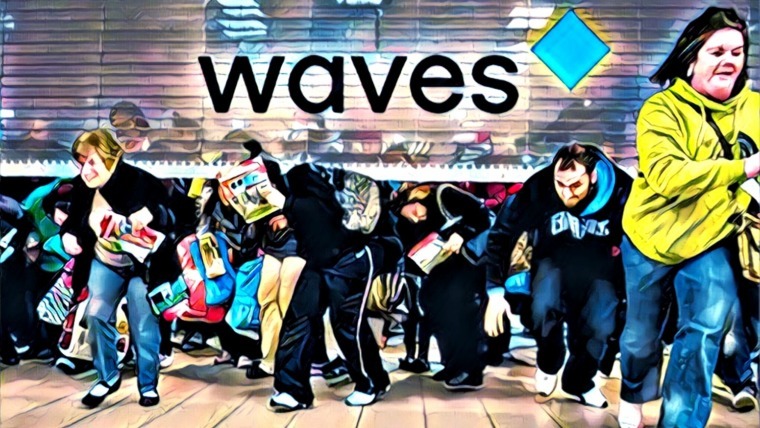 Blockchain injects the power of decentralization and value (read: gift) of trustlessness into every industry it disrupts. Fake news is no different. Due to the nature of my job, online search is my best friend. But I have to think and rethink the authenticity of every fact I quote or link I post, for fake news is the devil that sits on the shoulder of this activity. For not only do I not want to unwittingly spread falsehoods, but I’d like to keep my reputation as a writer intact. So when my beloved topic blockchain hooks up with my most notorious pet peeve, I sit up and take note. And then I sign up for an account. [DNN] provides the blueprint to a more open world for creating censorship resistant and verifiable news, while ensuring accuracy through incentivization. So states the website of a blockchain use case we should all be thanking our lucky stars for. DNN is a decentralized news network that relies on an intelligent hive vote in publishing online content. Think Wikipedia if it were to enter the 24-hour news cycle game. Just because “Mikhail” is writing a bunch of share-worthy fake headlines doesn’t mean it’ll see the light of day. Instead, for the benefit of DNN’s rapidly growing readership (the platform has had more than 20,000 sign-ups, and it’s still only in Alpha phase with just over 100 committed writers), reviewers will pick apart every article submission to ensure its validity. Do those sighs indicate relief that you might just be able to trust something you read again? DNN harnesses the power of the Ethereum blockchain to allow for a fully decentralized network that can never be hacked into, taken down, or censored. 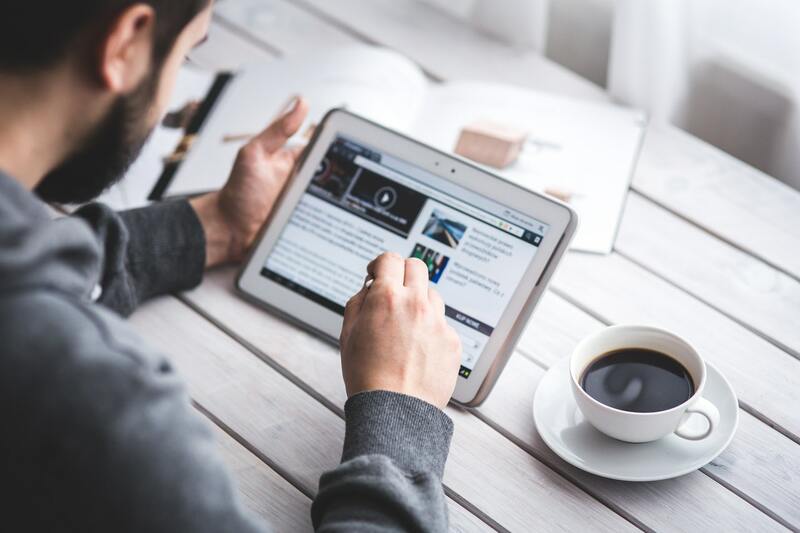 DNN uses the power of blockchain to ensure that the content relies on reviewer consensus as opposed to the go-ahead of a central publishing authority answerable to the economic and political agendas of its owners. 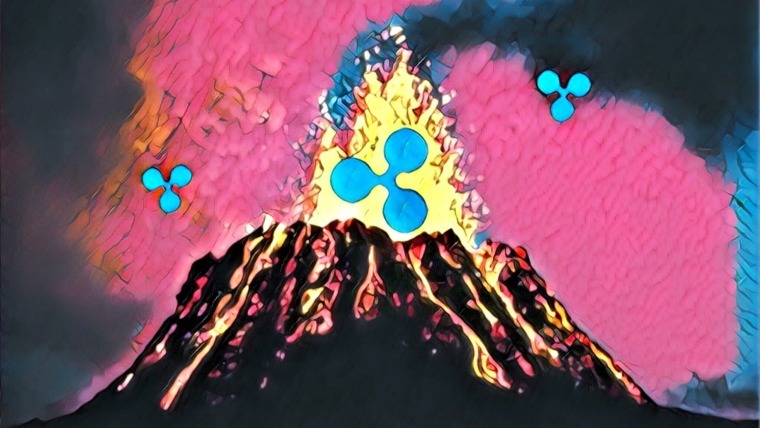 Due to its permanent public status, content stored on the blockchain cannot be suppressed or deleted, making it immune to the onslaught of sinister schemes. 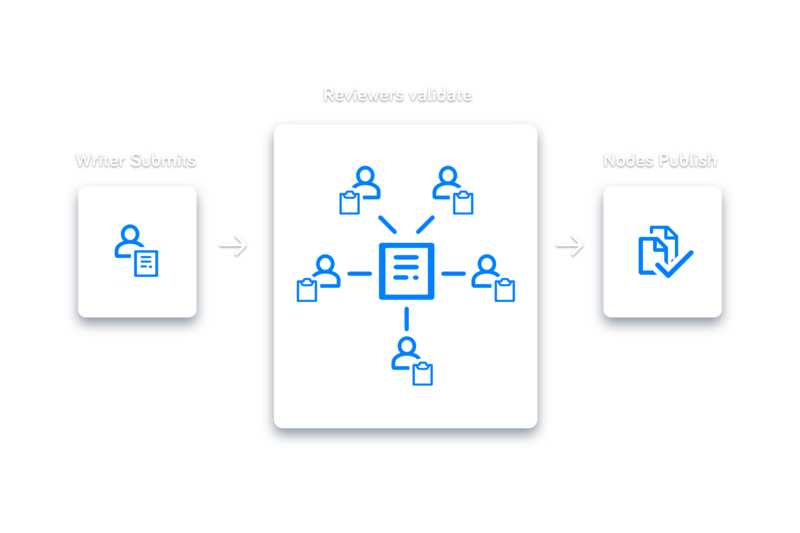 DNN relies on a robust review system that guides fact-checkers in their painstaking vetting and legitimizing of writer-submitted articles to ensure that what is written is accurate, sound, and valid. In other words, DNN does the thinking for you. The platform possesses comprehensive content policies and guidelines that guide reviewers in their scrutinization quest, ensuring that the ones yielding the editorial lightsabers become and remain master factual Jedis. By incorporating a reviewer feedback system, writers also gain valuable feedback on how to better research, plan, and structure content. In so doing, DNN not only produces quality news articles but ever-improving quality writers, too. 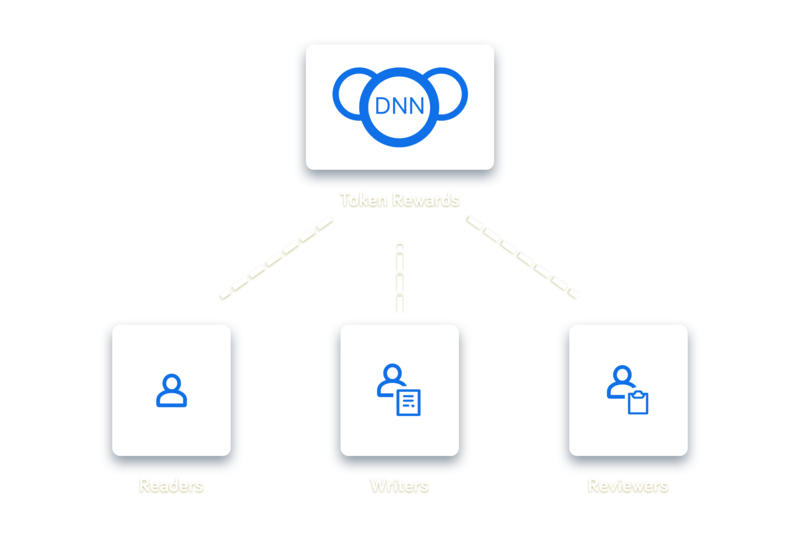 DNN involves readers, writers, reviewers, and publishers providing key contributions that make up the underlying functions and structure of the network. It might take a village to raise a child, but in this day and age, it takes a network (decentralized, naturally) to ensure quality factual content. DNN is up to the challenge. Blockchain might make its platform immutable, but the platform’s DNN Tokens will ensure that collaboration is incentivized by rewarding collaborators for their efforts. And if you’re all in on being a reader, writer, and a reviewer, fret not: DNN’s open environment allows for a seamless transition between any or all of these roles. While you chew on the necessity of “News by the People, for the People”, I’ll be setting up my writer profile. 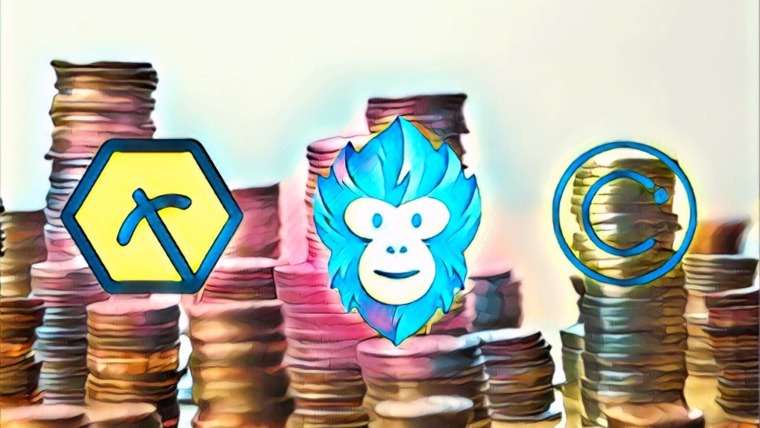 Read more in DNN’s whitepaper and join their 28k-strong Telegram group to dig in deep with the net’s newest community of fact lovers. DNN’s private presale is currently live, and its public sale starts on April 2, 2018. You have to be whitelisted to participate in their token sale.